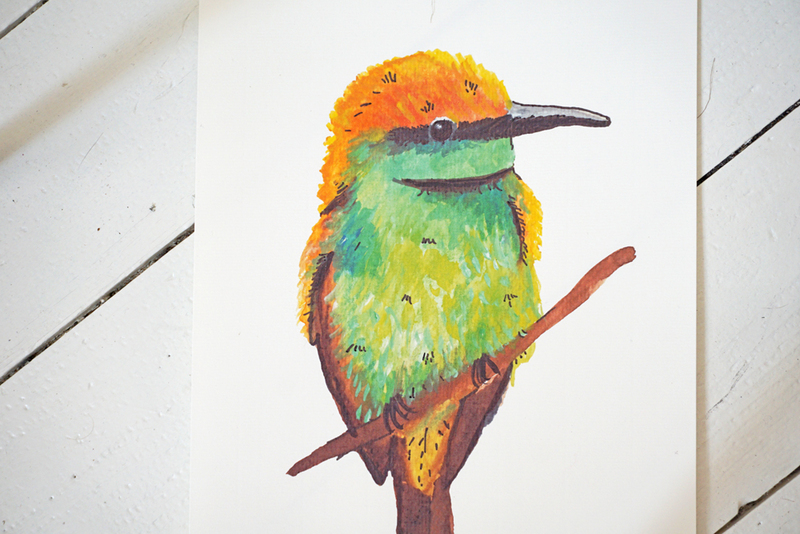 About the bird: Bee-eaters (Meropidae) are a family that counts 26 species divided into three genera. 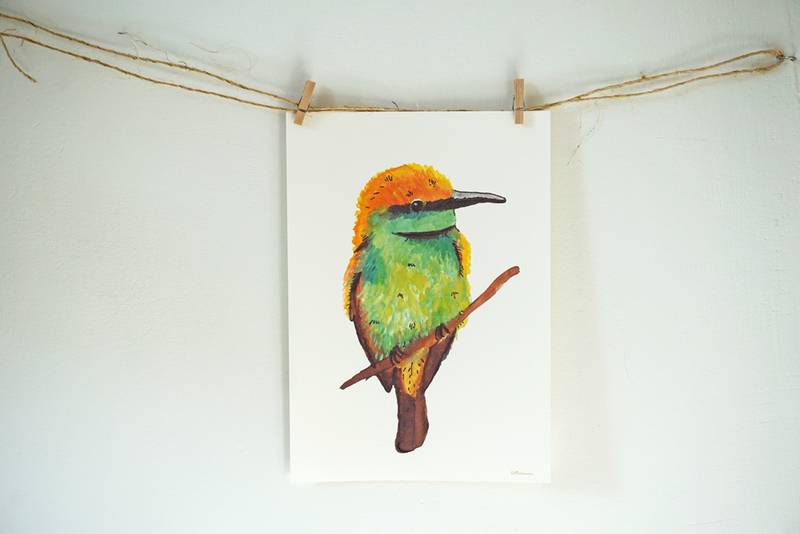 Beekeepers are all beautifully colored, slender and graceful birds. Beekeepers have almost all elongated middle tailpins, a slender, bent beak and pointed wings, making them look like big swallows. The breeding grounds of this bird are located in southwest Europe, eastern and central europe, central and eastern Asia, small asia and north west africa. In Portugal, Spain and Bulgaria, the largest numbers are found.